There are some days where words seem to get in the way. These are the times when my heart opens up and I feel nothing love and compassion for the world. I focus on healing, truth and the progression of humanity. I acknowledge what is real while seeing the reality we desire. Discussion: White Women Who Wear Locs? White Women Who Wear Locs? I've been asked on several occasions how I feel about women who choose to wear locs, but are not of African ancestry or culture. I think my answer is as complicated as the question. In my humble opinion, I think any questions surround intention, which is where things get tricky. Everyone's favorite Awkward Black Girl, Issa Rae (@IssaRae), has teamed up with celebrity hair stylist Felicia Leatherwood (@lovingyourhair) to create the new YouTube Series Head Cases. 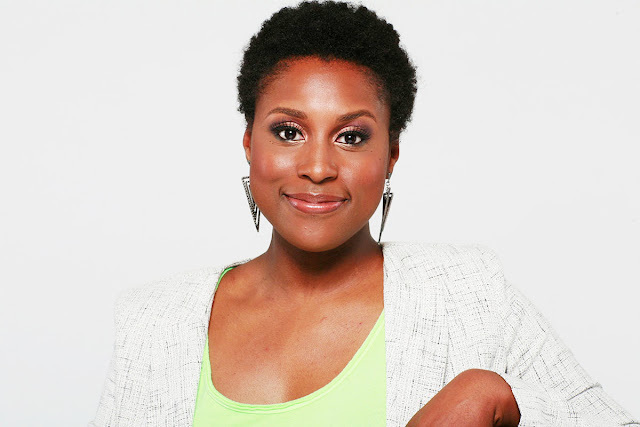 Issa Rae serves as Executive Producer while Felicia brings her styling talent and knowledge forward to help women find balance with their natural hair. The format includes education and service and when combined with Felicia's approach to her clients, it really brings to light how lifestyle and personal satisfaction are the foundation for wellness. 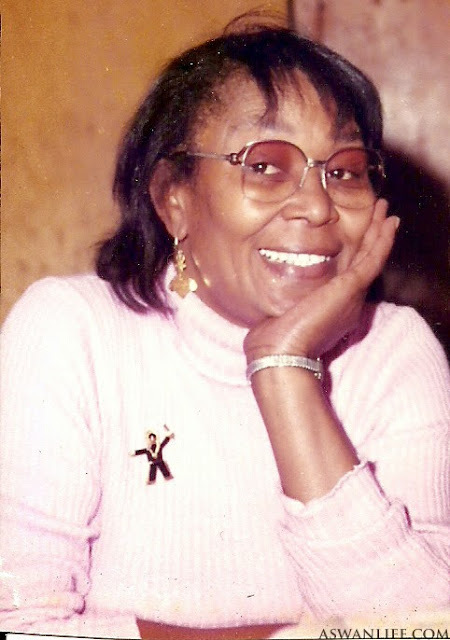 ROOTS & RHYTHM: Mary J. Blige - "Just Fine"
It is one of the most cherished times of the year: Mother's Day Weekend. Over the years, Mom's role changes in our life yet somehow remains the same. It doesn't matter if its natural or if you have to work at it, but one day you become friends. And you learn to appreciate Mom for all new reasons. Happy Mother's Day, Momma FabGlance! After cutting my locs, one of the things that has been most interesting is exploring a new world of products. Now that my hair is free, curl defining products and leave-in conditioners, a smarter, more focused "product junkie" has emerged. I'm not interested in trying every new product I see, but when I see something that I feel will work, I happily add it to my "must try" list. One thing that has not changed is my hair and skin's love for coconut oil. My hair loves it more now that it is free to soak it in to each strand. 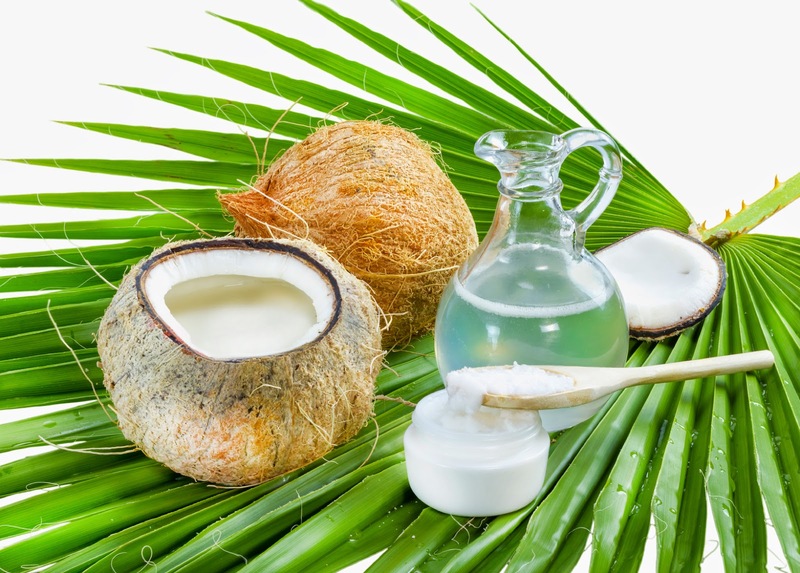 SUPERFOOD: Coconuts + Coconut Oil. As the cooler weather starts to set in, it might feel natural to decrease water intake, but our body would give us so much love if we didn't. 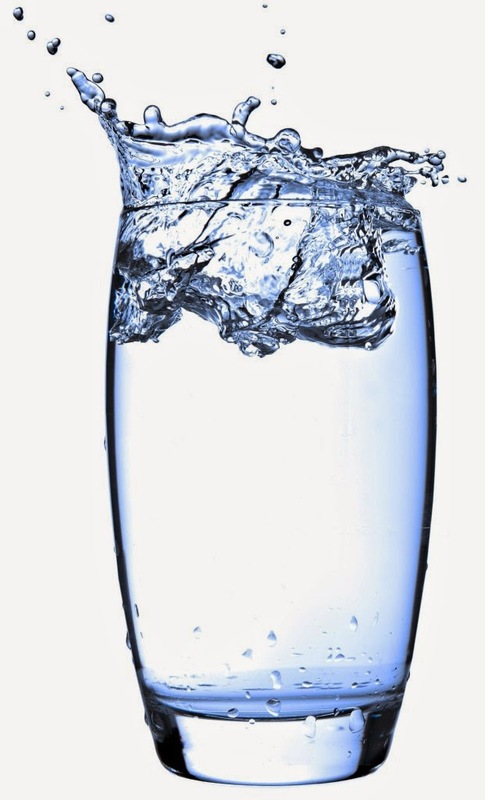 Proper hydration is a basic cellular need and improves the function of the body in every way. Warmer weather may make us crave more water, but colder weather requires just as much. The best defense against the dry hair and skin that can accompany fall and winter is internal. Protective styles and deep conditioning treatments certainly have their place, but both the amount and type of water we take in are important to the overall beauty regimen. Water Source - I've purchased all kinds of water from smart to alkaline and have finally settled on spring water as my main source. I'm not sure what can be better than water that flows naturally from the earth. Many privately owned companies protect and bottle water from natural springs. Search for companies local to your area. My current favorite is Callaway Blue, which I find at Publix and some convenience stores here in Nashville, although it is bottled in Georgia. Keep It Moving - I always try to remind myself that proper water intake is also the best way to flush toxins from my system daily. Water serves the digestive system as well as the lymphatic system as lymph fluid removes waste on a cellular level. When the body has less waste to deal with, more healing and maintenance can occur. Clarity + Focus - The brain needs water to respond properly and timely to our requests. If we are not properly hydrated the body might answer with lack of focus, headaches, body aches or hunger. When those signs show up they feel distracting, but we can also see them as a message from our body to focus on what we need. Water is usually a good place to start. Cheers to health AND beauty! Part 2 of this series should really be titled, "if you don't know, now you know!" In part 1 of , "Natural Hair, Fibroids, and Me" - I stated that I never had the traditional symptoms that fibroid sufferers have. My cycle was like clockwork, no swelling in my abdomen (that I could see), no pain or cramps, and no spotting. Even with my past 'well-woman' check-ups, my doctor never felt any rumors or abnormalities. By all outside accounts, I had no issues with my lady parts. But, there were other symptoms brewing - not normal for fibroid sufferers but definitely an issue. Let's talk about how I got a colon infection on THANKSGIVING! Oh yeah, let's not forget, my hair was shedding like an ugly Christmas sweater and my edges my edges were so sad. 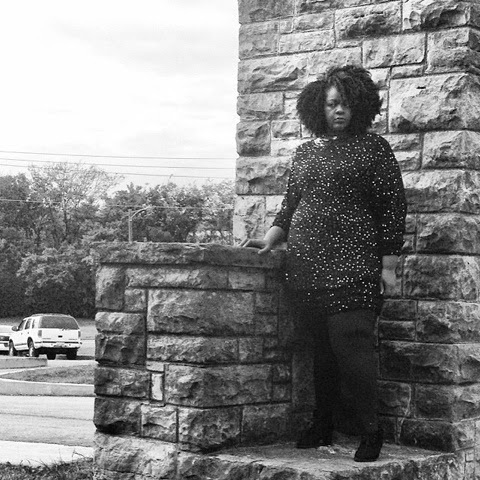 The colon infection was the key to me finding I had fibroids. On thanksgiving day I was struck with (what I thought) was a bad stomach virus. After preparing a delicious meal, I could barely eat one bite. Cramps were ravaging my stomach coming as quickly as labor contractions. I had a fever accompanied with chills and I was sweating like I ran a marathon. I suffered for three days waiting to get an appointment with my doctor. When I got my examination, my primary care doctor was puzzled. A physical examination didn't show much in the uterus or in the colon; she sent me to get an ultrasound. About a month ago, I underwent a Fibroid Myomectomy - I had two large non-cancerous fibroid tumors removed - leaving my uterus intact. To say I was surprised that I had to go through this procedure is to say the least. I thought I'd share my journey to recovery in three posts. Part 1: Before I knew I had the tumors, Part 2: Living life with the tumors and Part 3: The recovery and the future. Let's get started. The picture above is from 2011 - it was the last time my hair 'acted right'. It was thick, curly, and my edges were flourishing! About six months later my hair started to shed like crazy! I didn't know what the deal was, but I knew I had an issue. So, I did what most naturals do, I started the vitamins. After some research on other natural hair blogs and YouTube channels, I chose to use biotin and Vitamin E to help with hair growth. I went to a stylist and got my ends clipped too. Anything to stop the shedding. What I didn't know was hair shedding is sometimes an internal issue. For me, the development of the tumor started to pull the important vitamins and minerals out of my system causing my hair to shed, break, and feel really dry. I didn't have an answer, I knew there was an issue, but I never thought it was a fibroid tumor. 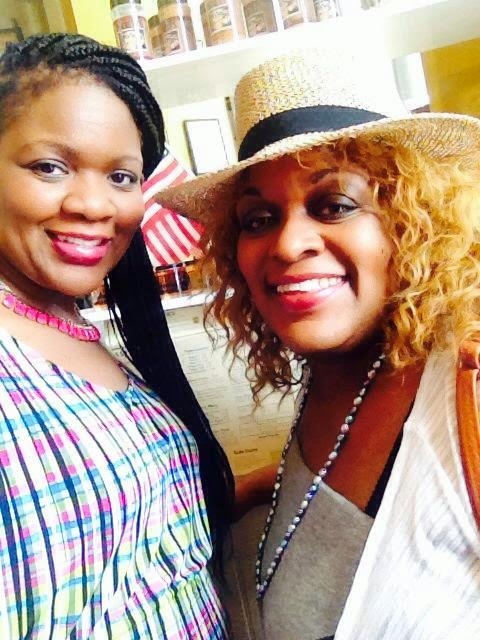 In my circle, three of my friends had fibroid removal surgery in ONE YEAR. 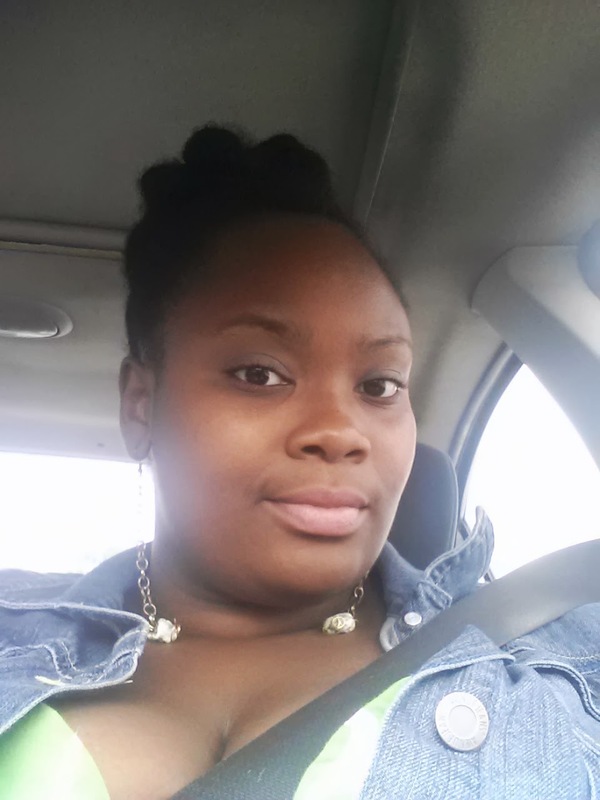 When it started to hit home, I started to realize that fibroid tumors were a real thing. I started to think about the women in my family, most had fibroid tumors, and almost all have had partial or complete hysterectomies. 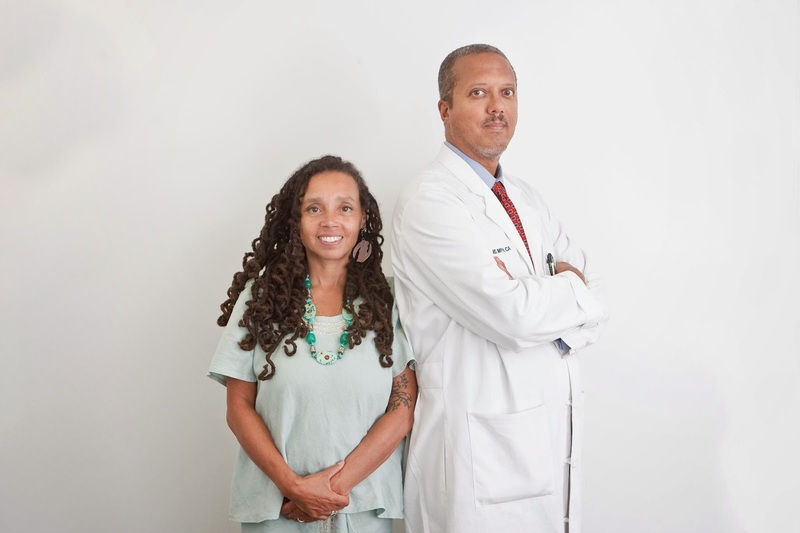 During my research, I found that Fibroid tumors occur in 80% of ALL WOMEN, more than 50% of those women are women of color (African decent, Latino, and Asian). Plus, there's a definite connection between relaxers and fibroid tumors. This connection is what leads many black women to starting their natural hair journey. That wasn't my story, but it's a real deal. Tumors can grow in all parts of the uterus including the fallopian tubes, outside of the uterus, and in the lining of the uterus. Most women experience pain in the abdomen, heavy menstrual cramping, long periods, and fatigue when the have fibroid tumors. Most doctors recommend removal of the tumors and/or the uterus to help women get back to normal. I never had ANY of those symptoms. So, I never thought I'd have to deal with the issue. I was different. My cycle was like clockwork, barely any cramping, and I still had the flow of a teenager, 5 days max. It was another discovery that led my doctor to the helping me figure out what the HECK was going on with my hair and my body. But, I'll tell you about that in Part 2 . . . stay tuned! Small changes often have the biggest impact. As we all know, the journey to healthy hair goes straight through the kitchen. Because we can obtain much of what we need for healthy hair and skin through our food and water intake, radiant natural hair really is the result our lifestyle. As we move into Fall, I'll share more of what I've gained from that aspect of my hair evolution. The first way I created balance in my eating habits was to participate in Meatless Monday. One day a week without meat forced me to be more creative with what I usually considered "sides". Many of the recipes also included oils that were beneficial to hair and skin which made me realize it was easier to get them into my diet than I thought. Once I found a few favorites, it was easy to experiment and alternate meals throughout the rest of the week. 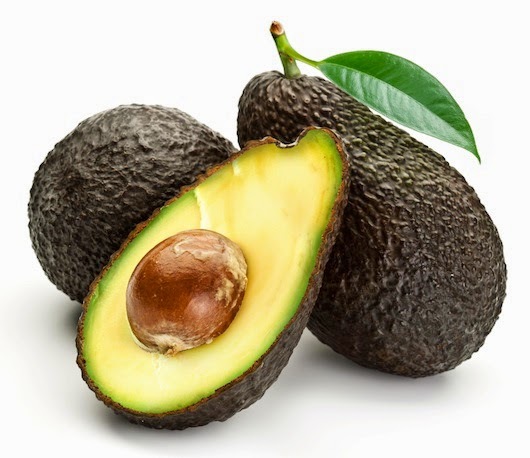 The avocado is a great healthy fat and more diverse than most realize. Salads, smoothies, chocolate mousse... Yes. Salads are great ways to take a quick dose of nature because everything, including any oils, are in the most vital state. 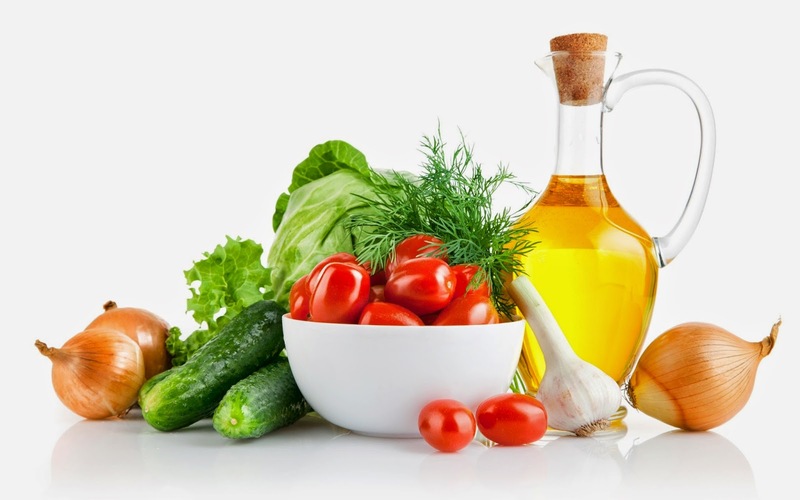 Oil-based dressings like olive oil or sunflower seed oil give us the most stable nutrients because they are not altered by heat. Building meals based on what it gives the body is another way I like to experiment with new, healthier food options. Early in my food quest, I met "The Opares" as my friends and I call them. Dr. Nana Opare and his wife, Ama, own Opare Institute in Atlanta. Ama is a wonderful gourmet raw vegan chef and now shares with vegans, vegetarians and those who want to be anywhere in between. She's also very open to those who are curious about vegan and vegetarian food choices. If you've been looking for a place to get some ideas on healthy meal alternatives, you'll enjoy Ama at Food For The Soul. You can also find them on Facebook here. Tell her I sent you! And how much do we love her locs?! I've reached that point in my wellness journey where my hair and my fitness routine are at odds. Again. When that happens, there's nothing else to do but get creative. Play after yoga class. This is my current bun for yoga, but it won't work for all practices. Depending on the activity, a high bun works perfectly. During runs and most yoga practices a bun keeps my hair away from my face and dry. But there are times in yoga when headstands and other inversions won't work with a high bun. I've adjusted the height, but I still end up removing the bun before my practice is done, which I find annoying. 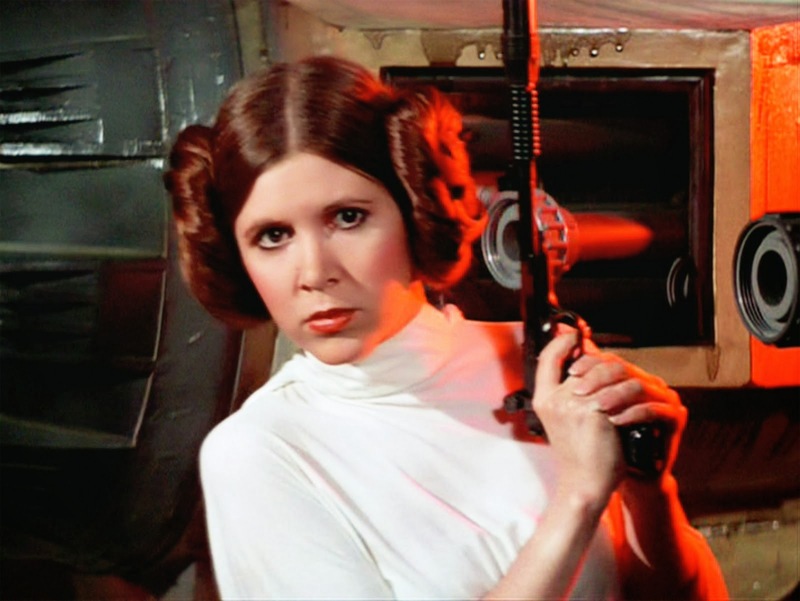 Before I channel Princess Leia, I think I am going to try braiding my hair. I don't have a particular style in mind, but it needs to be easy because I don't braid so well right now. That leads me to a classic: two french braids that can be tucked at the ends. I'll keep you posted on my progress. I will also be in the pool more this year, which is my biggest concern. I think smaller braids under a cap will work best. I hope pinning the braids down will create a smoother surface for a cap to fit tighter. During my initial research, I landed at Speedo to find their Fatskin3 Hair Management System. 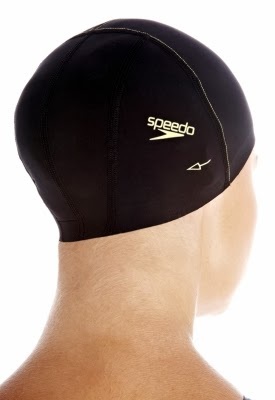 Apparently, Speedo has created a fabric cap to hold long hair in place under their competition swim caps. At $30 for this piece alone, I'm guessing it would work well under wigs, too. This cap promises to hold long hair in place under swim caps. Is it worth the investment? If there are any swimmers with hair tips for a newbie, please share! 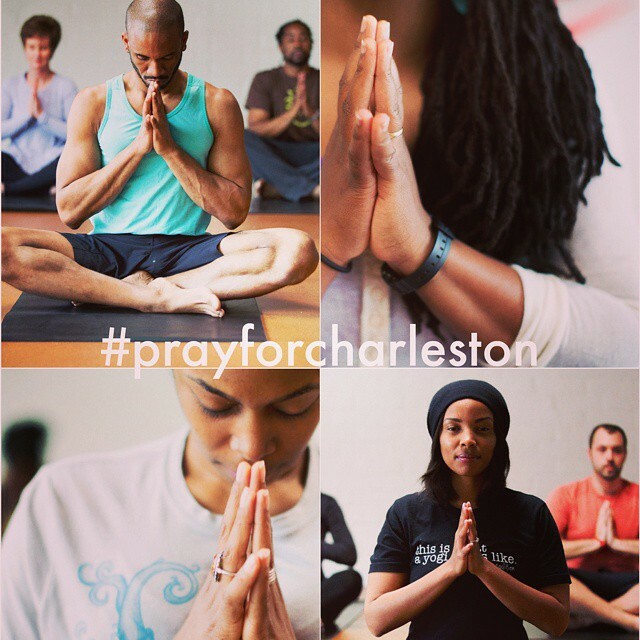 If you don't know Queen Afua and her work, please visit the City of Wellness Institute. 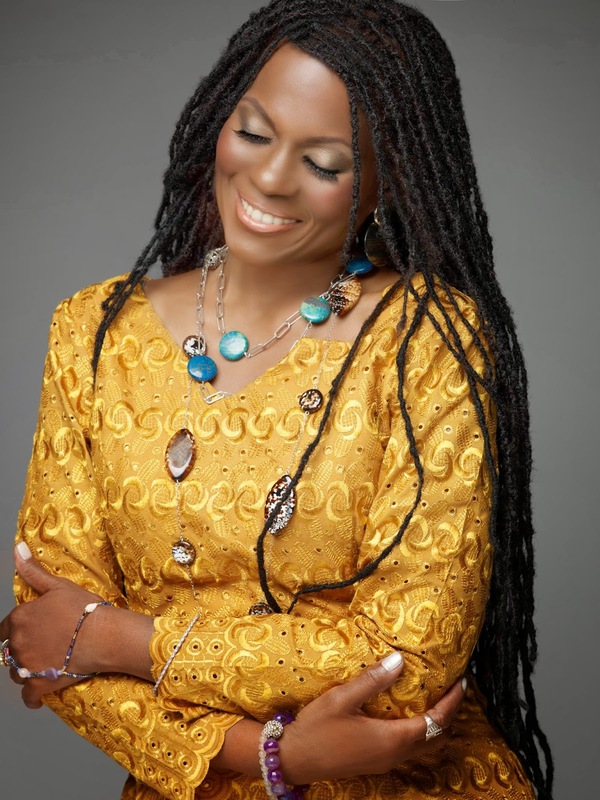 Queen Afua has been a champion of holistic wellness and education for more than 30 years. As an author, speaker, educator and natural health practitioner, she has helped thousands of people return to optimal health naturally. As a practitioner and teacher of "the ancient ways", Queen Afua's work is focused on a lifestyle that reflects the culture of those who respected nature as the ultimate healer. Queen Afua celebrated her 60th birthday this year. She looks amazing and is definitely creating Hair Lust here. Here's to the healing wisdom of nature! 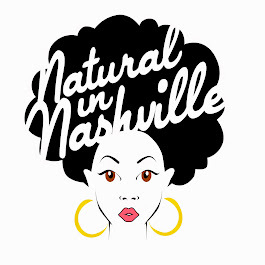 ROOTS & RHYTHM: Eric Benet - "News For You"
With everyone looking forward to the the Nashville Natural Hair and Wellness Expo this weekend, one of the brightest spots is the concert featuring Elle Varner, Kindred The Family Soul and Eric Benet. We're looking forward to each act, but as you know all know, we LOVE a man with style here at Natural in Nashville. 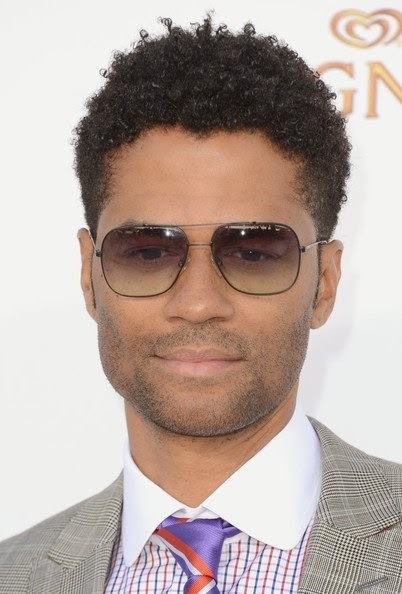 Eric Benet's look has evolved over the years and he's definitely getting better with time. We see women mature with grace quite often, but when a man manages to do it on his terms, it adds that confidence that can't be reached through style alone. Eric with one of his shorter cuts and signature curls. I've heard that people can grow out of their locs just as they grow into them. Anytime a person does the loc chop, it always seems to be for the better, as if it is necessary for the stage of life that they are in. From the locs of a few years ago to the close cut he is wearing now, it seems Eric Benet emerged from each stage of his style progression more sure of himself. 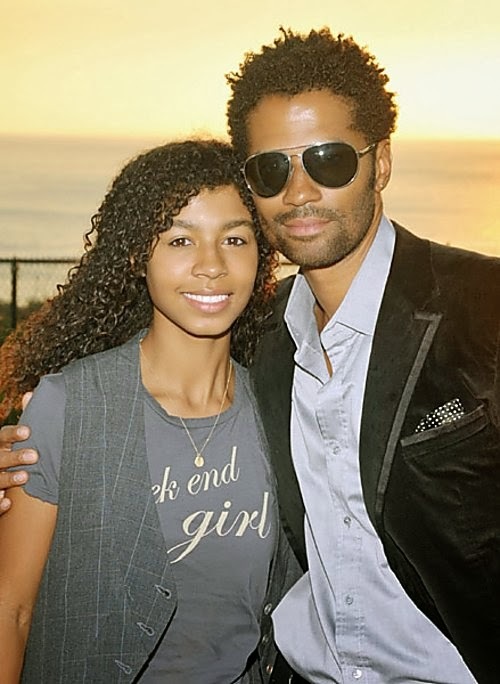 With the release of his album, The One, Eric Benet also shared a bit on his style in Music Meets Style. As he explains why he is drawn to certain pieces, we can easily see the evolution of his style is much like our own: it is truly a reflection of our current mindset and stage of personal growth. Eric and his daughter India. She's definitely got her father's lovely curls. Check out more of Eric's thoughts in Music Meets Style and enjoy his single "News for You". Roots and Rhythm: Chaka Khan - "I'm Every Woman"
We're going to add a little more purpose to Roots and Rhythm here on Natural in Nashville this month as we gather inspiration for #SuperSeptember with our editor, Melissa. When life is good we want more of it, so I've decided to join Melissa in giving a little extra in my personal and professional life to make September a month to remember. 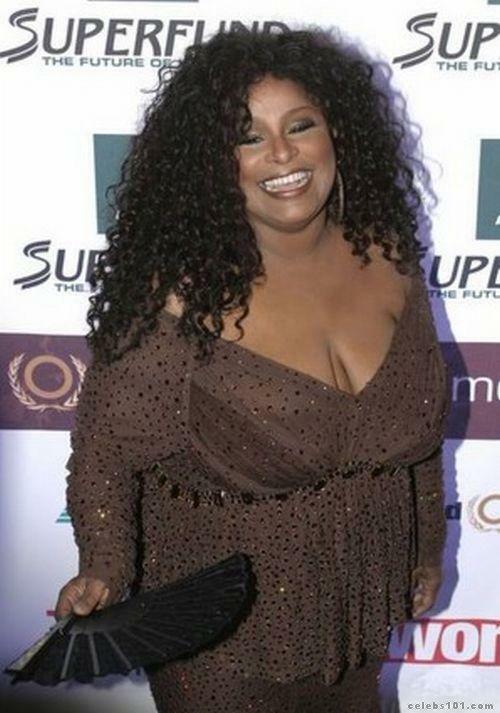 Melissa's announcement of Super September instantly brought Chaka Khan to mind. Every time I see a determined woman, "I'm Every Woman" starts ringing in my ears. "I ain't braggin', 'cause I'm the one. You just ask me and it shall be done. Don't bother to compare. Cause I've got it." It is even more inspiring to hear Chaka sing after watching her take control of her health and wellness by dropping over sixty pounds. 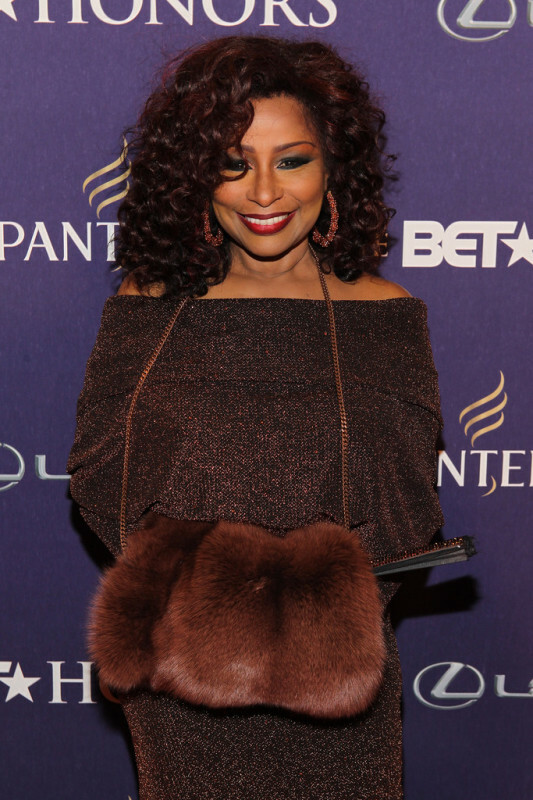 To heal herself, Chaka made a drastic change in her diet and lifestyle which is now physically evident. She looks amazing and is the first natural beauty we will honor this month for taking her life to the next level. 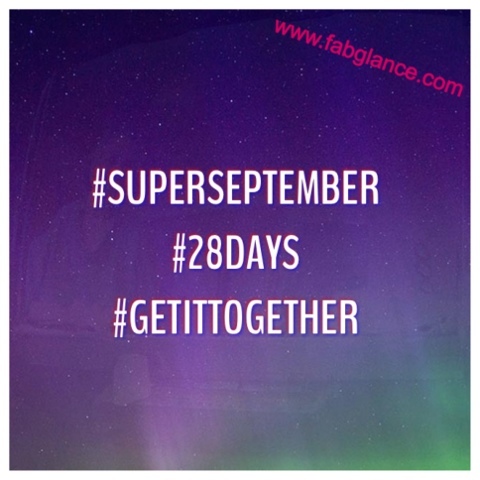 There are no restrictions for Super September! Just make a plan and go for it. This is your month to grow and to shine! Read more from Melissa on Super September at FabGlance while you enjoy the original version of "I'm Every Woman" from Chaka Khan released in 1978. Let her inspire you to remember that your best is always within your reach. Congratulations and thank you for inspiring us, Chaka!! I have tried several different deep conditioning methods. I've used condiments, oils, natural store-bought products, unnatural chemical products, and I've done them with and without heat. I've done the most I could for my hair and I was still hard pressed to get the bottom of my twists to hold together. My colored ends just refused to not be brittle and dry. They had to go. My hair works a lot better now. When I make a twist and try to seal the ends, they actually twist together!! And I could never get my hair to be all the way shiny and moisturized anymore before this final cut. But check out this shot. I can't remember the last time my hair had so much shine. 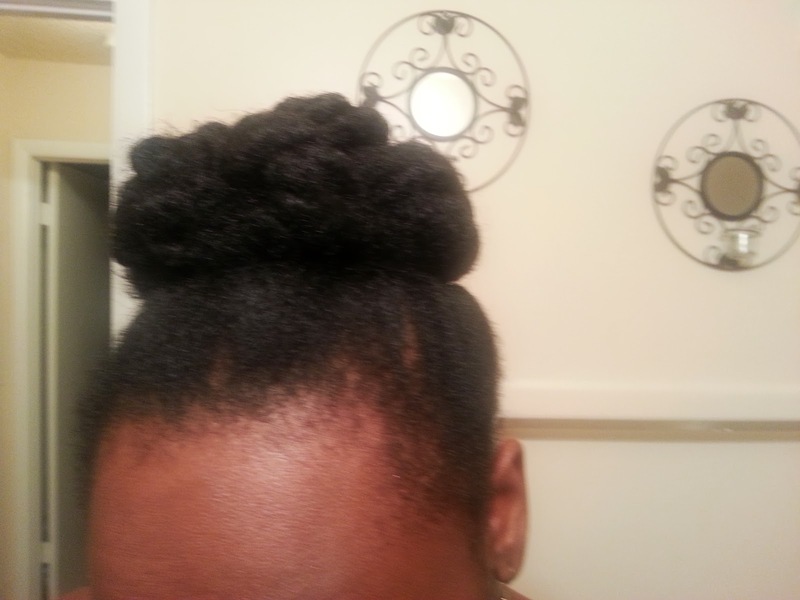 This was the 2nd day wearing my bun, with no additional product. So I'm back to my natural color now. I was a red head and then I rocked the "ombre" black and brown (The red color faded to a nice brown. I liked it so I kept it.) and I haven't had colorless hair for almost 3 years. It felt weird to realize that my hair color wasn't my real color. Completely dark hair has taken some getting used to. Besides, anyone who really knows me will tell you that I'm a much more "colorful" personality than I am dark. I'm already planning on getting color in my hair sometime in the future. And not because I hate my hair or have any self-esteem or self-loathing issues*. I just think color fits my personality a lot more. My boyfriend and I... being colorful. Love this twist-out. It happened after keeping my hair in twists for 4 days. But you know what doesn't fit my personality? This bald spot in my head. Yes, it's still there. I'm going to pray that it's not permanent. I was made aware of it again this week when I put my hair in a bun and literally had to manipulate my hair to cover up the shiny scalp in the front left side of my head. *sigh* I just want my edges back. In the front is a middle part. But on the side... there used to be hair there. And finally, I made a wig!!! I'm not going to get too detailed because this post has already been so long. I'm going to put the details in a separate post. But it was SO EASY! I just watched a few YouTube videos and got the gist of the wig-making process. I already had the hair for vacation. The additional products only cost $10. I still have some adjustments to make on it, but I've already worn it in public and I got more compliments. But here is the wig after it was sewn, but before I cut it. You'll just have to come back to see the final product, along with instructions the steps I followed and photos of the process. So that's it. I've had quite a month of hair fun. I'm back to the point of loving experimenting with my hair and actually enjoying it. I think we all go through hair phases, and I just needed some space. But absence really does make the heart grow fonder. I'm loving my hair lately. How about you? *Is is weird that in 2013 it's still necessary to put a disclaimer on your self-awareness because of a hair choice? Let me know when this ends. 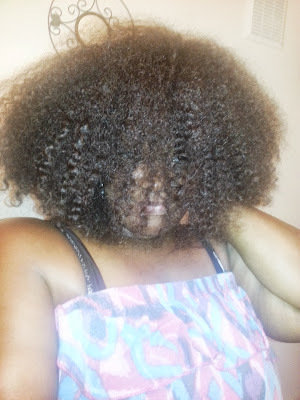 DISCUSSION: Natural hair workout STRUGGLE! 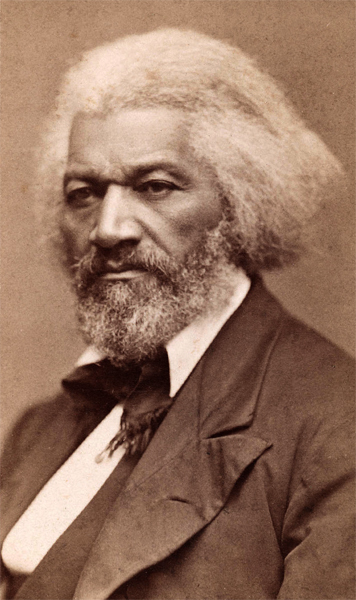 So, I don't have anything against Frederick Douglass (pictured above). He was a great man and fought hard for the rights of African-Americans. However, I do not enjoy looking like his long-lost daughter when I leave the gym! That's right ladies, having natural hair and working out is an ISSUE! 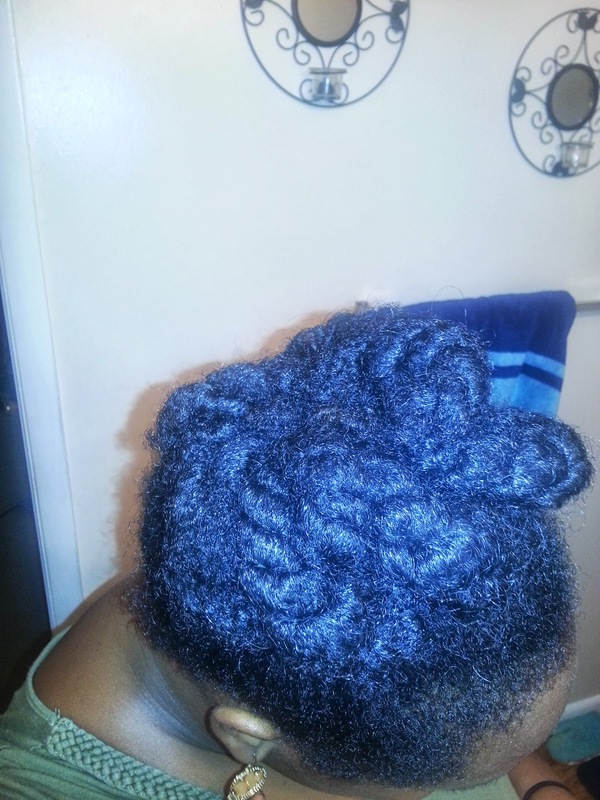 As fan of protective styling, for length and moisture retention, I often wear my hair locked away for months at a time. Some think I don't even LIKE my hair because it's always hidden under the latest installation of braids or weave. I promise you, I really like my hair but it's prone to shrinkage and tangles. I'm attempting to let my hair rest from my braided installations, but I have this issue, what to do with my hair at the gym. Add to that, I sweat in my scalp - - like profusely. So my hair starts to curl, twirl, and tangle and shrivel - I get off the treadmill looking like . . . say it with me, "Frederick Douglass' daughter!" I realized bunning my hair and rocking a scarf during my workout saves me from looking crazy and having shrunken hair, seems to work for me. I did gain some knowledge from the posts below - like sealing my hair with water/oil combo before I bun - that will help with moisture retention. I know one thing, I'm not going to stop working out because my hair wants to work against me. Never sacrifice your health for you hair! I hope these tips work for you. If you have more tips, list them below - we all need help figuring out this natural hair workout routine. Happy working out! I know you have heard the expression "Health Over Hair" quite a bit lately. There are several reasons that you should focus on overall health instead of healthy hair. The main reason is because if you focus on the former, it will usually make the latter so much easier to obtain. However, today's discussion focuses specifically on how diabetes management affects natural hair. A quick biology lesson: When you eat, your body tries to convert as much of the food as possible into sugar so that it can be used for energy. The body uses a hormone called insulin to convert sugar to usable energy. This is how you produce energy to blink, breathe, and shake a tail feather. Unused sugar is usually stored as fat or filtered out of the bloodstream by the kidneys. Diabetes (or sugar, the sugar, or sugar diabetes) is the body's inability to regulate the amount of glucose (the scientific name for sugar) in the bloodstream. When someone is diabetic, there's a kink in the process above. Either the body doesn't produce enough insulin, or the insulin doesn't work well enough to convert the glucose to energy and get it out of the bloodstream. So the glucose has nowhere to go. It just sits in the bloodstream and the body's kidneys work overtime to bring the glucose levels down to normal. Diabetics have to be cautious of what they eat because insulin levels (and blood glucose levels) aren't regulated. Too much sugar and the kidneys work overtime to filter the blood. Too little sugar and the body doesn't have the energy to carry out the basic functions of life. But what does this have to do with my hair? Ok, so now that the basic biology lesson is over, here is how it affects your hair. When your blood sugar runs higher than normal, you stress out your kidneys and your kidneys stress out everything else. One of the ways your kidneys filter excess glucose from the bloodstream is through urine. But the more glucose there is to filter, the more urine your body has to produce. And producing urine takes.... WATER. Do you see where this is going now? The more urine you need to produce to filter out excess glucose, the more water is required to leave your body. And because regulating blood sugar is more important that most functions, the body will use water resources to get it done. And that's the way it's supposed to be. And if you're not good at prioritizing health over hair, don't worry. Your body does that for you. It doesn't allow water to nourish your hair and scalp and ignore blood glucose. You are built to prioritize important functions like blood sugar regulation over less important things like shiny, moisturized hair. Make regular visits to your physician and monitor your blood glucose levels. If you are overweight, shedding a few pounds can really help manage blood sugar. No matter your weight, exercise can help regulate blood sugar. So there you have it. Healthy hair is not less important than overall health. It's actually a part of overall health. Whether you're a diagnosed diabetic or you just have a tendency to binge on cupcakes and candy bars... make sure sugar isn't the causing you hair problems. It's important that you take care of your entire self; because exhausted kidneys and shiny, bouncy curls just don't go well together. 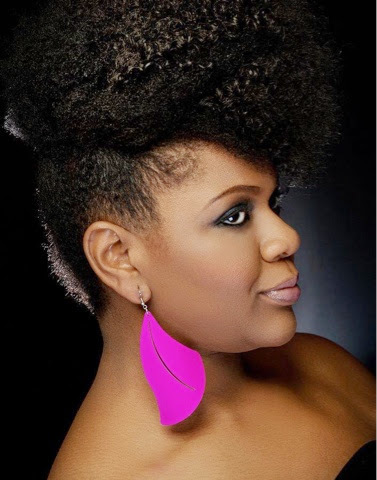 Do you have diabetes and natural hair? 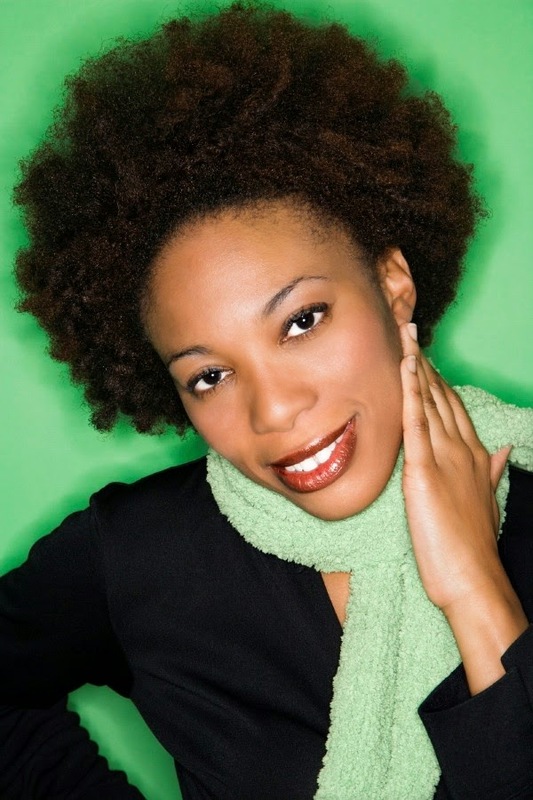 Do you have ANY health condition that impacts your natural hair care? Leave a comment below. I'm willing to try anything once. So when it comes to the 'natural hair' and 'natural beauty' life I'm usually up for the challenge. You tell me it may benefit me, I'll give it a try. However, the only thing I haven't tried is African Black Soap! 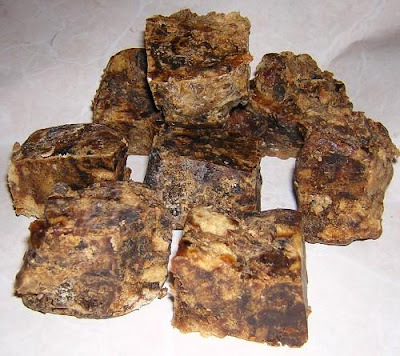 Many people use black soap for acne, skin discolorations, psoriasis, and oily skin, having great results with regular use. It's crazy, because I know the benefits are amazing but I've never used the product. Well, I'm happy to share this post from KisforKinky.com where she shares the pros/cons and benefits of using this all natural soap powerhouse. After reading her post, I think I'll give black soap a try. 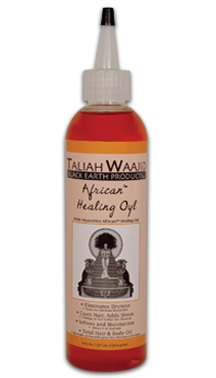 One of my absolute favorite products is the African Healing Oyl from the Black Earth Products line by Taliah Waajid. After I finished the last bottle, I decided to explore some other oils on the market. Every time I return to the African Healing Oyl, I ask myself why I left. While I found some oils my hair appreciated, none of them impressed me like Taliah Waajid. My hair LOVES this oil and I think I know why. Over the next month, I will be doing a beauty detox that will change my hair routine. My goal is to use the most natural, holistic products available on a consistent basis. As I rebuild my foundation for wellness and beauty, I plan to make many of my own oils and butters. While deciding what will work best for me, I looked at what works already. Eliminates Dryness - While everyday use is enough to elimate dryness for me, I also love to use it for hot oil treatments. I always experience a noticeable difference in the look of my hair and tend to use less oil between shampoos. A Kukui Nut Lei I got on vacation in Hawai'i. Coats Hair, Adds Sheen - I think this is the biggest benefit for me. Some products add sheen, but it feels superficial. The African Healing Oyl is slightly thicker than most oils, which may be why it adds a lasting sheen. Softens and Moisturizes - I usually use this oil for a hot oil treatment if I plan to loc my hair afterwards. It does soften my hair, making it easier to handle during the process. Total Hair + Body Oil - Although I use it for my hair most often, I have used the Healing Oyl as a total body oil in the past. I find it more useful during the winter because I prefer a lighter oil during warmer months. 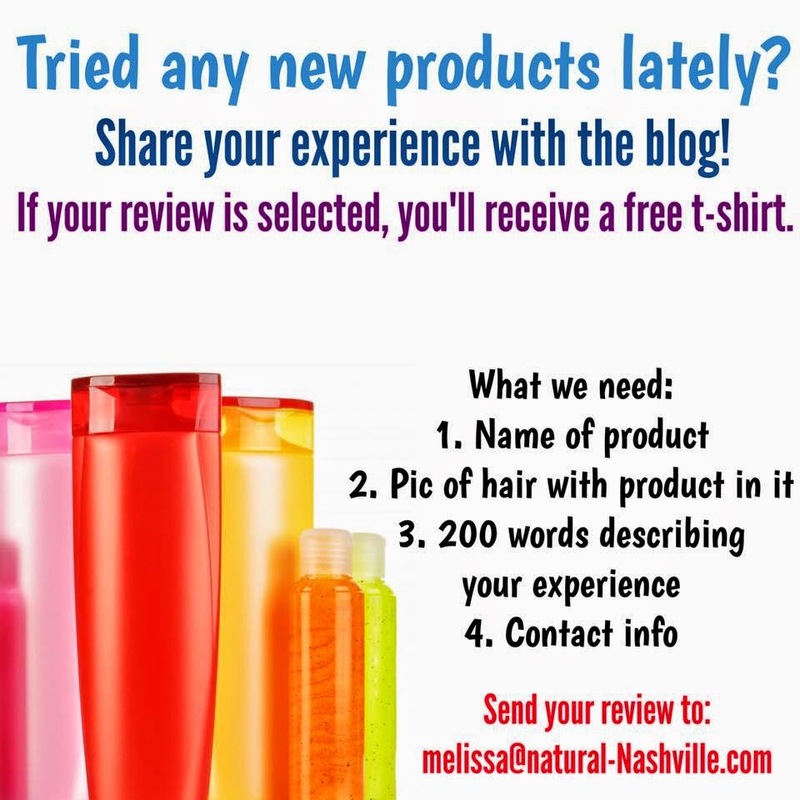 Stay connected as I explore holistic DIY tips and product for hair and body. I would love to hear what works for you! For more on clean eating and creating holistic self-care plan during my detox, connect with me here.